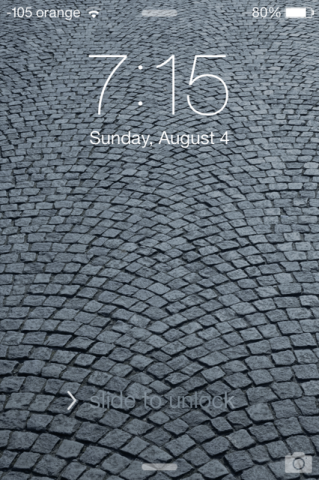 iOS 7 beta 4 arrived three weeks following the previous beta seed. The release was presumably delayed due to the 8-day outage of the Apple Developer Portal, but I am just guessing here. So for those who are still on iOS 6.x.x here briefly are some of the changes this version of iOS brought. Beta 4 brought a couple tweaks of the phone answer buttons and the Phone dialer as well. Apple has decided to drop the confusing arrows on the top and the bottom (denoting Notification Center and Control Center) and replaced it with a line shape. Also, the “Slide to Unlock” has been updated with shifting highlight color and and arrow that draws attention to that area on the lockscreen, although you are not limited to swipe that line to unlock the screen. 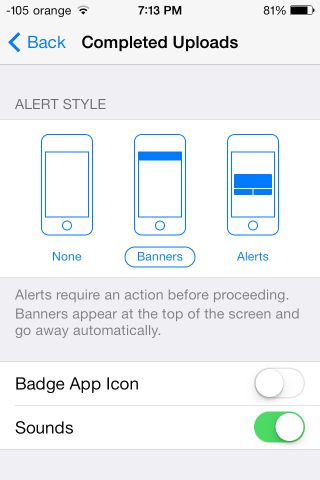 With iOS 7 beta 4 you can now swipe left and right to switch between the notifications. Furthermore, the update brings a new notification for completed uploads: you can opt for a sound notification as well. Siri appears to get further enhancements, with the latest being an updated help menu, which now includes suggestions for Q&A queries. And, it even sounds more natural than before. While it can create confusion, especially among the ones with lots of friends with similar names, iMessage uses the first name and last initial of a contact in group chat. Also, you can turn on or off the bold font in the Settings app, so your messages will be displayed either with bold or regular font. 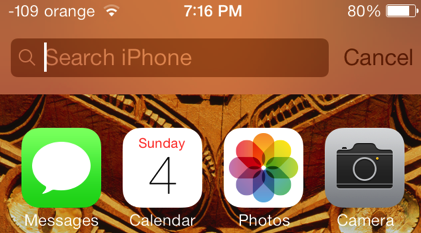 Alongside informing the user that spotlight has moved, searching iPhone now includes a Cancel option as well. Apple’s mobile web browser has its share of improvements, as well: the buttons for Bookmarks, Reading List, and Shared Links now have icons instead of labels. As noted by 9to5Mac, the latest iOS 7 beta comes with a screenshot detection API, solving an issue preventing Snapchat from detecting screenshots. Is it just me, or do the Alarm Time fonts display bolder numbers? With iOS 7 beta 4, album photos on Playlist screen in Music are much larger. Overall, iOS 7 beta 4 feels much responsive, with smoother animations and it is snappier; but when you use it, you need to remember that this is a beta version of the forthcoming iOS 7.